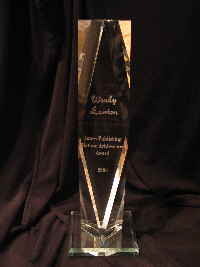 Jones Publishing, the parent company of DOLLS and Teddy Bear Review, created the Lifetime Achievement Award in 2002 to honor a person, company or team from the collectible doll, teddy bear or soft-sculpture animal field who has made an extraordinary difference and positively influenced the industry over a significant period of time. This year, our very own Wendy Lawton was honored with this award, representing only the fifth time the honor has been bestowed. Former recipients are Madame Alexander of New York City, Steiff Teddy Bear of Germany, Hildegard Gunzel of Germany and R. John Wright of Vermont. “It was an event I will never forget,” Wendy said. 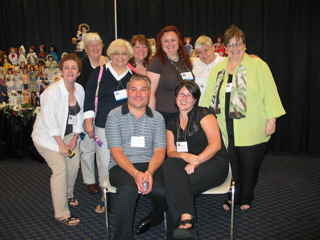 The award banquet was held in the historic Marriot Wardman Park Hotel during the Doll & Teddy Bear Expo in Washington DC; but the whole magical weekend began on Friday, when Collectors from all over the United States were treated to a retrospective display of Lawton dolls mounted by Lawton Guild Director, Michael Matteo. 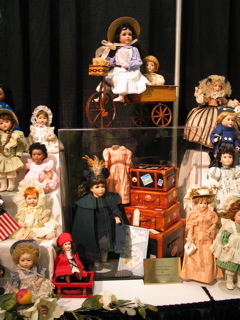 Michael brought several one-of-a-kind dolls, along with some cringe-worthy early dolls, and a selection of other dolls from throughout the years. 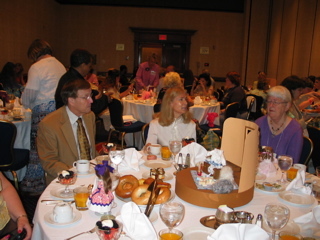 On Saturday morning, collectors enjoyed a Lawton Collectors Guild ticketed meal. The event featured a Peter Pan-theme, and was aptly titled Breakfast with Wendy in Kensington Gardens. After the multi-course breakfast, Wendy spoke of Peter Pan’s origins and the very first J.M. Barrie book in which Peter appeared—The Little While Bird. Several wonderful door prizes were offered during the event, including rocking horses, Robin Barrows’ dresses, Merrily Ripley quilts, and four Lawton dolls. The centerpieces—which included Nana the dog, a Robin Barrows dress, and a handmade quilt by Merrily Ripley—were parted out so that each person received a wonderful gift. Guests also received a 9” Peter Pan doll created especially for the event, and the opportunity to purchase a matching numbered Wendy doll. The entire event was planned and executed (to rave reviews!) by Guild director and emcee, Michael Matteo. 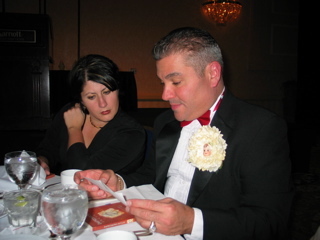 By Saturday evening, collectors were ready to put on their best bibs and tuckers for the black tie banquet and award ceremony in the Cotillion Ballroom. 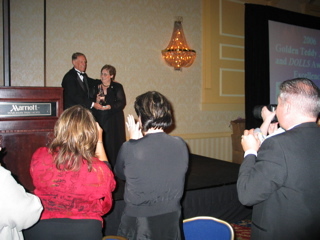 Wendy reports that she was humbled by the kind words of Joe Jones as he gave her the award. 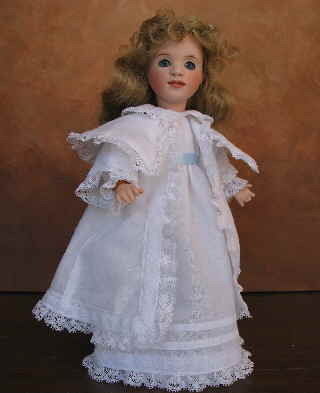 He mentioned her nearly thirty years of dollmaking and her work as an author. 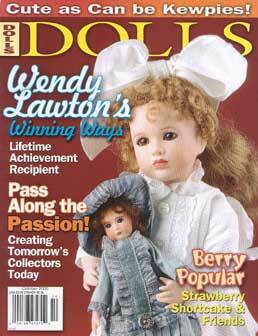 As an expression of gratitude, The Lawton Doll Company provided every guest at the award banquet with a complimentary copy of Wendy Lawton’s newest book, Impressions in Clay. 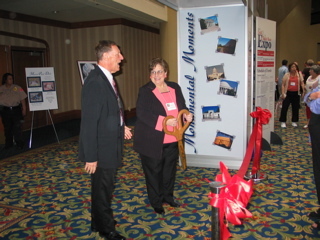 After the ceremony, Wendy celebrated her award by asking individual Lawton collectors to pose for photos while holding the heavy lead crystal obelisk. “When I looked at all the fingerprints on that crystal, I realized how precious and unique all our collectors are.” Wendy said. 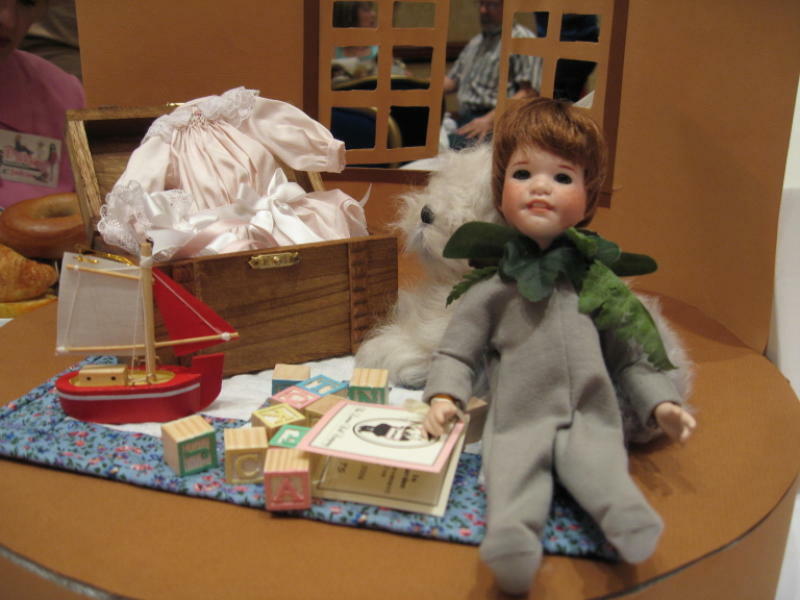 Many thanks to everyone who helped make this event a true milestone in the Lawton Doll Company’s Year of Surprises!